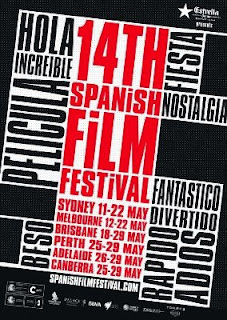 The Film Emporium: Opening Night of the 14th Spanish Film Festival...and Cannes! Opening Night of the 14th Spanish Film Festival...and Cannes! Tonight is the opening night of the 14th Spanish Film Festival at Palace Cinemas on Norton Street. Sessions throughout the course of the Festival (stretching between 11-22 May) will be split between the Norton Street and the Chauvel at Paddington. The 7:00pm opening night film is Alex De La Iglesia's film The Last Circus. As winner of Best Director and Best Screenplay at the 2010 Venice Film Festival, it has been subject to a wealth of positive acclaim, and is a film I strongly desire to see. 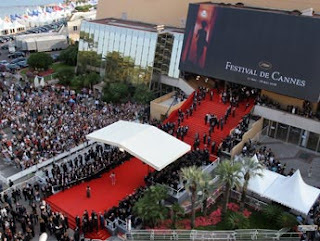 Coincidentally, though across the other side of the world, today also marks the commencement of the 2011 Cannes Film Festival. Woody Allen's new film Midnight in Paris will premiere and open the festival, with the beautiful Melanie Laurent the hostess. Italian director Bernardo Bertolucci will be awarded the Honorary Palm d'Or Award at the Opening Ceremony. Twenty films are in official competition for the prestigious Palme d'Or (the full line-up can be found here), but I'm sure all the festivities during the duration (11-22 May) will be worth keeping track of. I'll have full coverage of the news throughout and the winners. Now, I'm off to help set up for the Opening Night Fiesta. Have a great day!